Being inspired is rare for some, but it is beautiful when you can be inspired to do something so simple to evoke change for others. It takes the right organization, the insightful vision from the right person in order to inspire people to care about other individuals, especially those less fortunate than them. But Care More, a non-profit organization whose objective is to make the world a better place by caring for others through homeless outreach and other avenues, is inspiring everyone it touches. 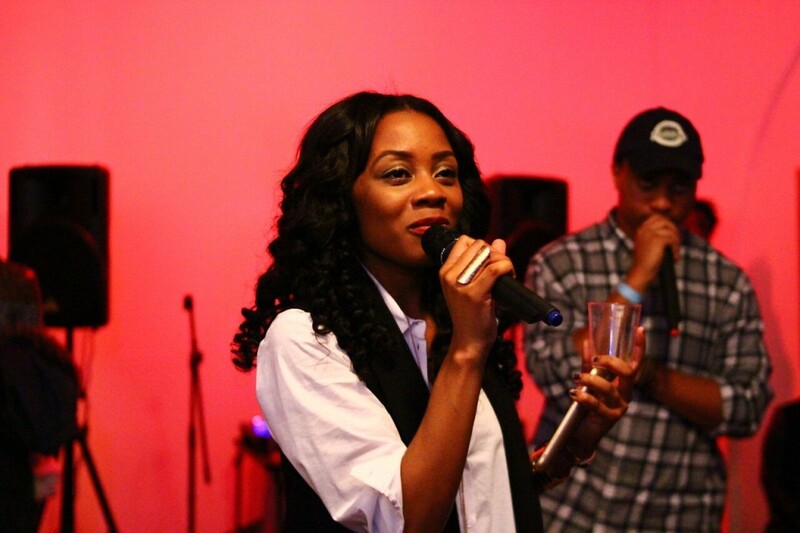 Founded by Brooklyn native Mercedes, the organization celebrated its one year anniversary this past weekend with a panel discussion, music showcase and homeless outreach tour. 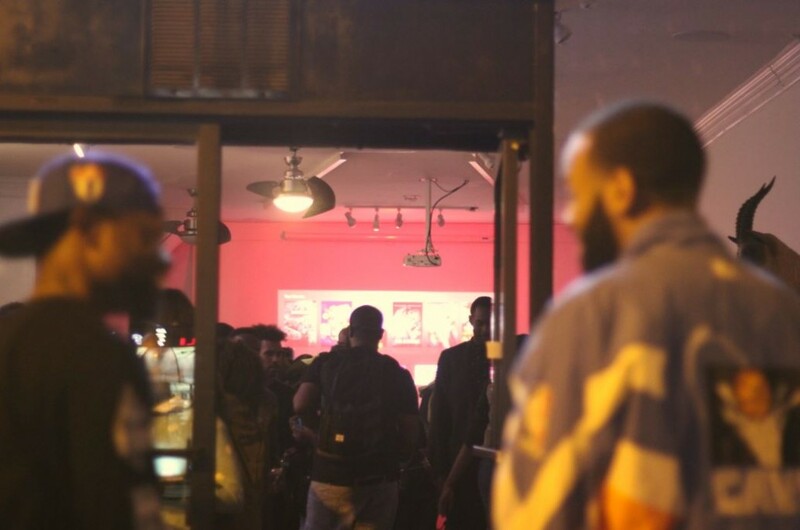 thagreymatter had a chance to attend the music showcase, Vibe For A Cause, Saturday night where the vibes were dope and the talented people were enticing. 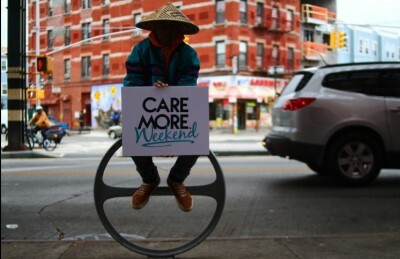 The events of #CareMoreWeekend took place at the IMAGE Gallery in Brooklyn, NY. The wall space taken up by decorative art and dramatic pieces, allowed the space to transform into a creative platform for each artist. With free drinks and food alongside the entrance to the gallery, everyone seemed to enjoy the overall atmosphere. 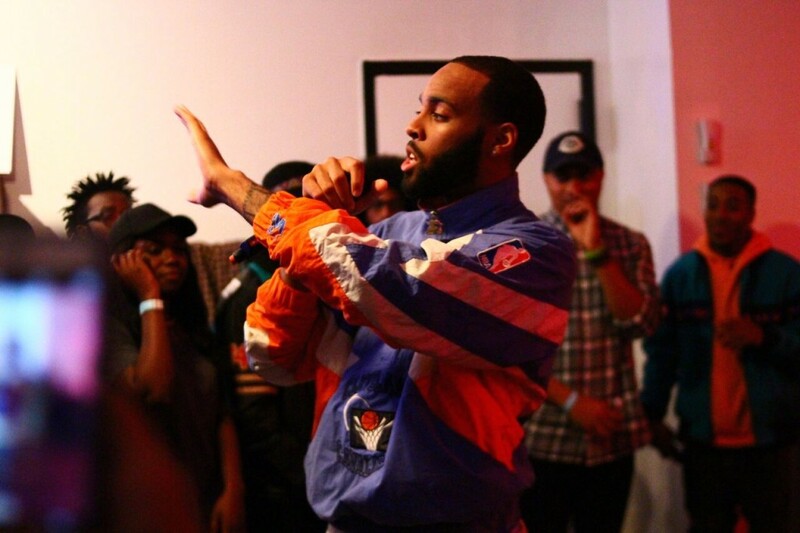 The first artist to perform was a New Jeru Native that goes by Chesne. Her sultry and soft vocals cleared the room of chaotic noise, bringing everyone into a trance as they listened to her closer. Up next was R&B female group, Symplicity, who began their performance with an acapella version of SWV’s song, “Rain”. The crowd seemed to be drawn through their beautiful harmony, dynamic energy and synchronized choreography. Other performers began hitting the stage such as Khamaal, Penny Shaw, and Ty Jack. The assorted selection of artists was perfect for providing different elements of music that each listener could enjoy. They were able to showcase their talents while also shedding light on the importance of caring more, the essence behind the entire organization. 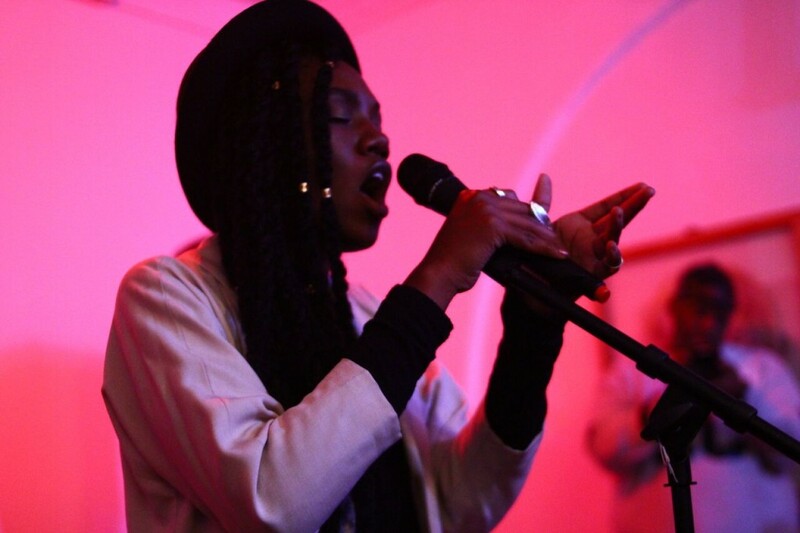 Then singer LeiLa Dey took the stage; her somber voice hit hard as she embodied the soul behind R&B. 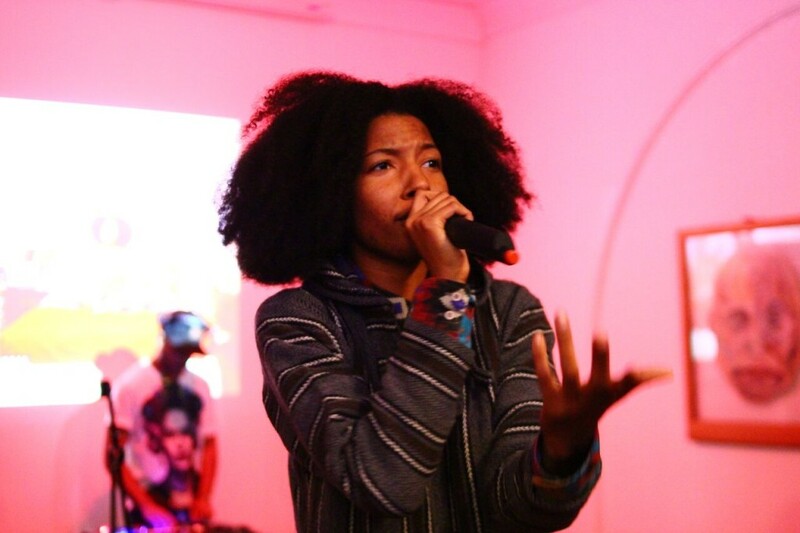 The performances continued to transform the room and the energy heightened during SōULFULL’s performance. 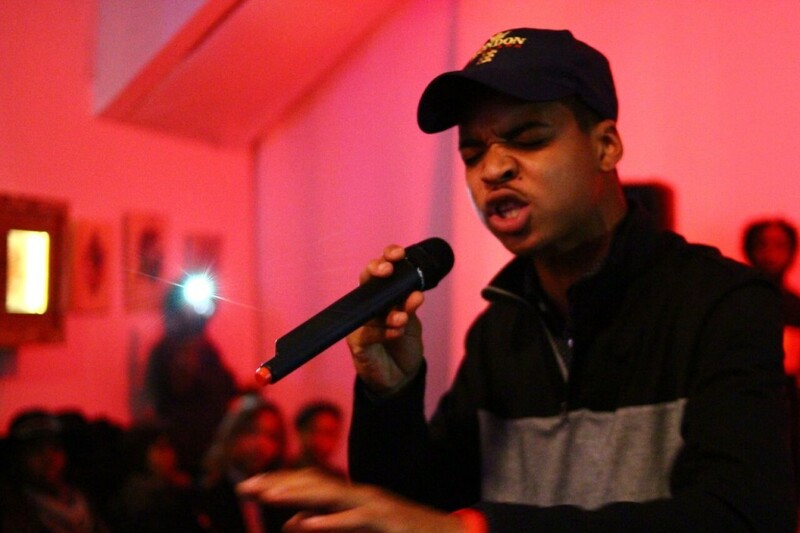 Hyping the crowd with his lyricism and potent energy was crucial as they transitioned into SiR.M00RE’s performance towards the end. He brought out other artists to perform alongside him, making it a perfect way to end such a beautiful event. Vibe For A Cause was an outlet for many, a time and place where talent could rise to the occasion, but for a good cause. It isn’t easy for artists to do what they do, making the entire night special for those who performed and even those who remained in the audience. I could see how moved every attendee was based on their smiles, uproar and love for the music. So I applaud Care More for putting this together and for reminding me especially how important it is to love others and to simply CARE. It is always beautiful to see artists focusing on their music but even more so when they take the time they do have to spread positivity. 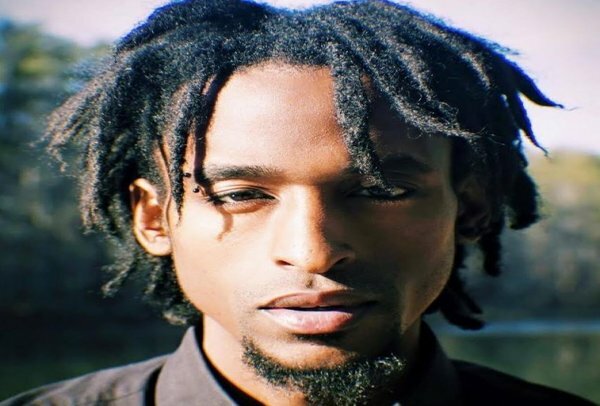 So it quickly warmed my heart and brought a smile to my face when I saw that Atlanta artist Maestro Riko was doing something different with his Free Hugs Tour. Traveling to different cities throughout the country to spread the word about who you are is hard enough, but he has decided to step out of his comfort zone and make sure that others take a moment or two to remember that spreading love and happiness goes a long way. He’s currently on the west coast but check out some coverage from where he’s been so far below!